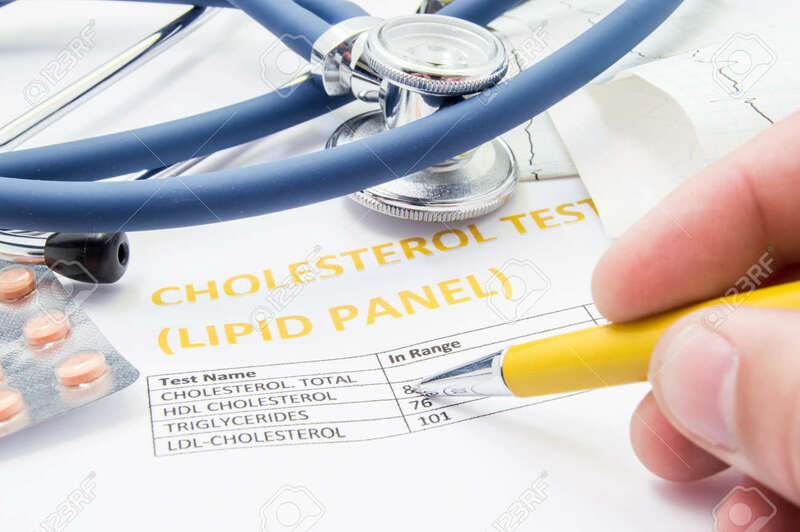 General Practitioner Checks Cholesterol Levels In Patient Test Results On Blood Lipids. Statin Pills, Stethoscope, Cholesterol Test And Hand Of Doctor, Pointing To Increasing Its Level In Concept Royalty Free Stok Fotoğraf, Resimler, Görseller Ve Stok Fotoğrafçılık. Image 85583741.